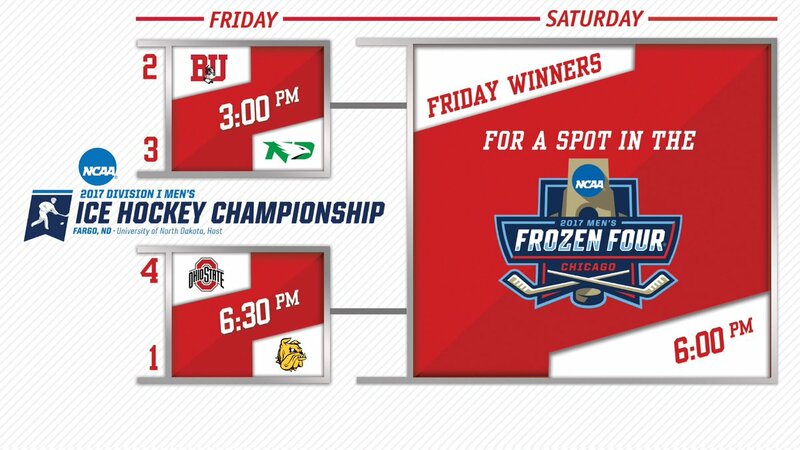 BU will host a Watch Party at T's Pub on Commonwealth Avenue on Friday at 3 p.m. for the Terriers' NCAA Regional game against North Dakota in Fargo. Despite its loss in the Hockey East semifinal, the Terriers move up a notch to #6 in both the USCHO and USA Today/USA Hockey Magazine polls. BU is #7 in the Pairwise Rankings. Clayton Keller, who scored a goal and assisted on another in BU’s 3-2 loss to BC, has been named the College Hockey News Rookie of the Year. 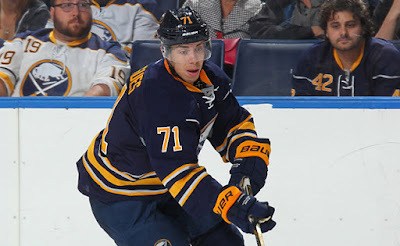 Keller produced a 20-22-42 scoring line with a +14 in 29 games and led Team USA to the gold medal in the 2017 World Junior Championships with 11 points in seven games.The freshman forward, who was selected #7 overall in the 2016 NHL Entry Draft by Arizona, also was named to the Hockey East Weekly Top Performers list. Junior Nikolas Olsson has returned to practice—wearing a non-contact jersey—following surgery in early February for a broken bone in his leg. Former BU All-American and Most Outstanding Player of the 2009 NCAA tournament Colby Cohen will be the broadcast analyst for ESPN’s coverage of the Midwest Regional in Cincinnati. ● USCHO report on broadcast teams. ► USCHO: Quick previews: Western Regional, Midwest Regional, Northeast Regional, East Regional. ► The Hockey News looks at players-to-watch in the NCAA tournament. Jack Eichel scored his 21st goal in Buffalo’s 2-1 win against Detroit. NHL.com’s Diamond in the Rough video series features Evan Rodrigues, who has found a spot in the Sabres line-up since his recall from AHL Rochester last month. Danny O'Regan has been recalled from the AHL Barracuda to the NHL San Jose Sharks. O'Regan leads the Barracuda with 52 points, which is also tops for all AHL rookies.